Speaking with ABC News’ Political Director Rick Klein and Chief White House and Washington Correspondent Jonathan Karl, McChrystal didn’t hold back his criticism of the President as the White House prepares for the next general election in 2020. 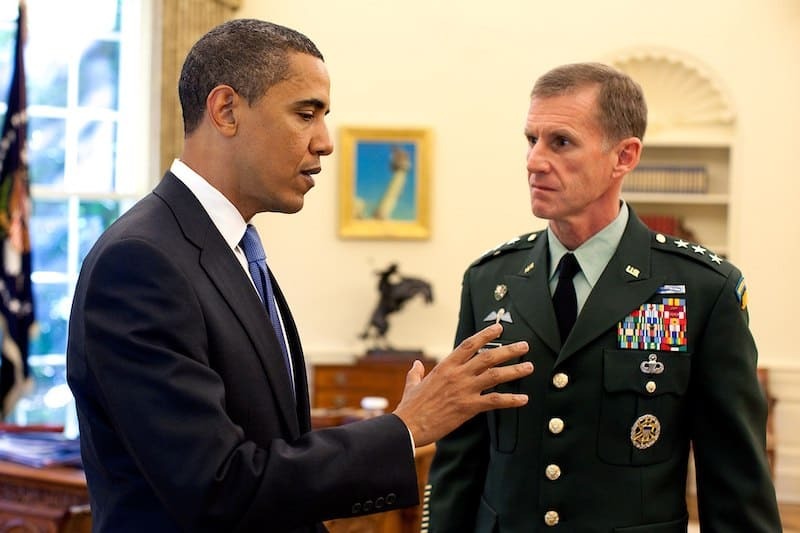 McChrystal appeared on the Powerhouse Politics podcast where he spoke in depth about Trump’s recent attacks against retired Adm. Bill McRaven, the man who led the commando team that killed Osama bin Laden. Trump during a recent interview said it was have been “nice” if bin Laden was killed earlier. The comment rubbed some leaders the wrong way for suggesting the U.S. military didn’t do enough to capture bin Laden in a timely manner. Karl: “What are we to make of a leader that speaks the way he does about very highly-regarded military leaders in this country?” Karl asked in regards to the McRaven comment issued by Trump. “And the fact that he would be dismissive of the kinds of service that people like John McCain and others have given is also disturbing … I don’t think it builds up the kind of trust that military people depend upon,” the retired general added. McChrystal’s comments arrive at a time when Trump has claimed to do more for the military through an increase in defense funding than his predecessors, a statement the retired general disagrees with for various reasons. McChrystal further notes during his interview that it’s dangerous to give President Trump too much responsibility. On a positive note, when asked about the direction of America, McChrystal says he believes leaders can still come together and change the rhetoric currently facing America. Be sure to download the full episodes of the Powerhouse Politics Podcast every Wednesday on ABC Radio and iTunes.